Fall Winter 2015-2016 handbag Faye Patchwork Medium Shoulder Bag, Black Multi, is covered with all colors Cheri Croc-Embossed Tote Bag, Red, being that some models were designed with a ruler and pen, plus scissors and needles, to make irresistible the mix of colors and textures Cynnie Shearling Fur Bucket Bag, Stone. Fall Winter 2015-2016 accessories trends, bet on satchel bags Lexi Large Satchel Bag, Elephant. 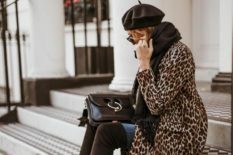 But there are also rigid models with lines of 40’s and 50’s, the monochrome square My Rockstud Striped Flap Bag, Black/Ivory or metallised Structured attache bag in cream embossed lizard print, as well as bags fom the 70’s Drawstring bucket bag in grey nappa fringe. 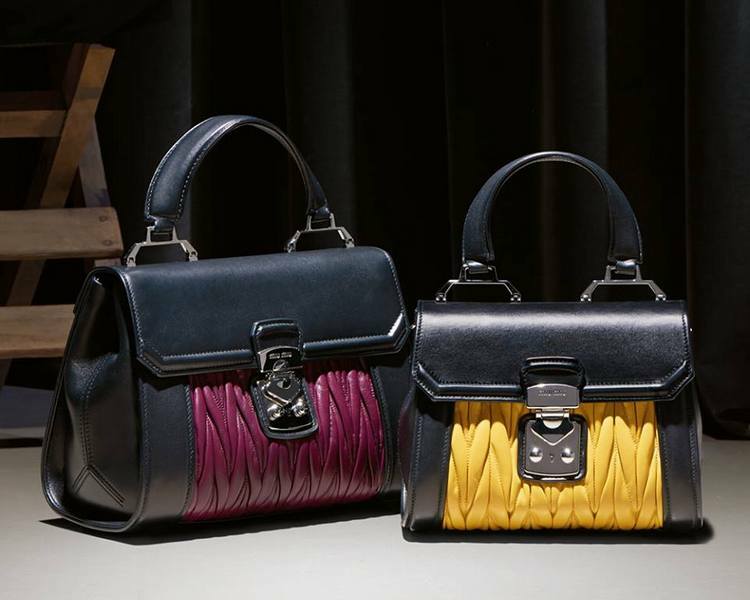 The bags colors contrast or emphasize the shades of clothing. 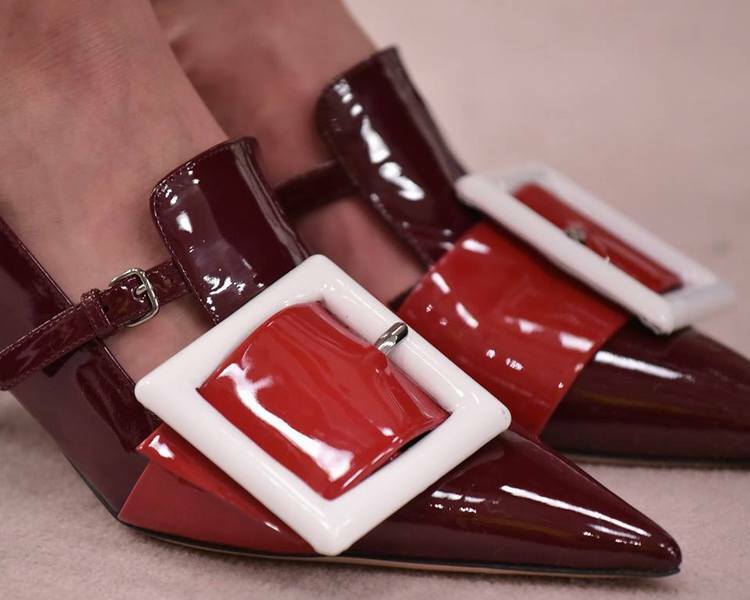 Regarding footwear, wide heels Fendi Patent Leather Decollete Color Block Heels take full control of Fall Winter 2015-2016 accessories trends – in the style of retro, making footwear simultaneously practical and chic. Booties Garden-Print Jacquard Boot, Black (Nero) are the kings of this season. Piping go down to the ankles Back-Zip Ankle Boot, Visone and heels rise up to an elegant and comfortable height, in various colors and textures Rockstud Suede Chunky-Heel Boot, Tan. The difficulty is to choose! This season, piping rises at least until the middle of calves Rebelle Front-Zip Patent Boot, Black, but the truth is the higher best – Alabama Suede Over-the-Knee Boot, Castor. Shoelaces involving feet and legs Lace up flat in black leather, are other of Fall Winter 2015-2016 fashion trends, both in boots as shoes. Sunglasses So Real Brow Bar Sunglasses, Black are indispensable, especially for those who can not face without them, the intense light of autumn days, beautify the face with extraordinary formats Oversized Round Sunglasses, Havana/Ivory. 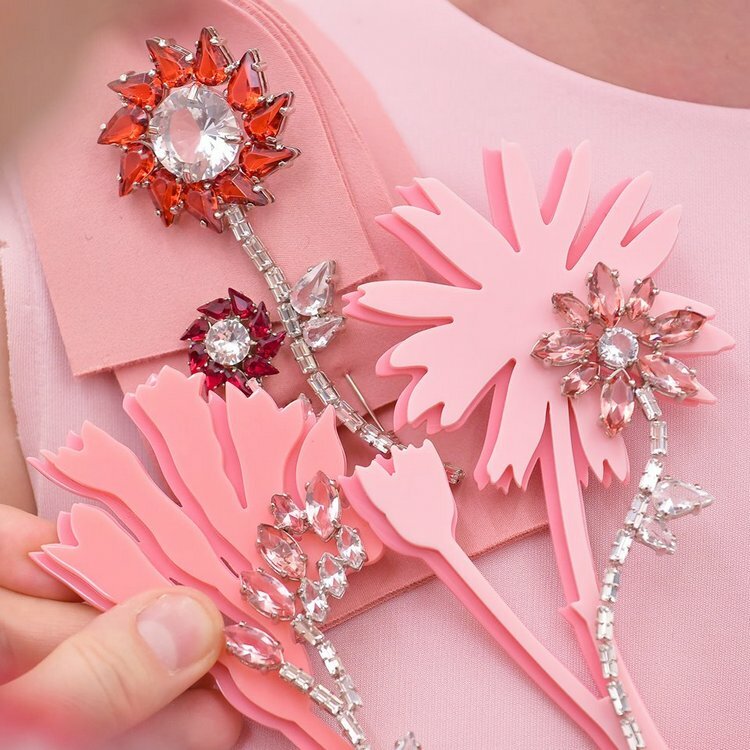 Costume jewelry, full of feminine and fun details Naomi Floral Cluster Pin, is present in all trends Fall Winter 2015-2016, even in the most minimalists. In this season are used brooch full of color and brightness, vintage earrings Druzy Round Drop Earrings, Dark Gray, large rings boathouse crystal statement necklace or wide bracelets Pboathouse crystal statement necklace, that will bring color, glitz and glamour, to gray days of the season. Waists want to be well defined, with the help of belts Suede Belt w/Enamel Clasp – a fundamental and chameleon accessory that adapts to any style. 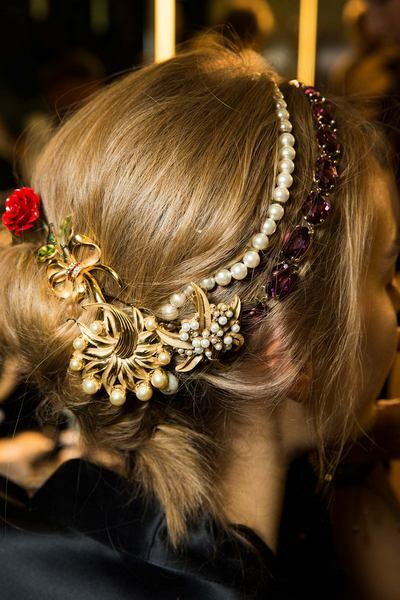 And finally, to finish Fall Winter 2015-2016 accessories trends, is almost mandatory to use hair adornments, being the proposals too varied – from headbands Laurel Leaf Headband, Rose Golden, barrettes Countess Crystal Barrette w/Tige Boule or scarves Chloris Floral-Print Square Silk Scarf, Red, playing a game between hair and the rest of the look. Everything is possible where nothing is impossible!